I love a good salad, but unless it’s really good, I oftentimes prefer to enjoy my veggies sans lettuce. That might sound weird to some, but it was exactly what inspired me to come up with my latest go-to dinner recipe. That and the fact that I love Mexican food but my standard Taco Tuesday meal was getting old (I think it was one of the very first meals I started making when my husband and I moved in together five years ago). 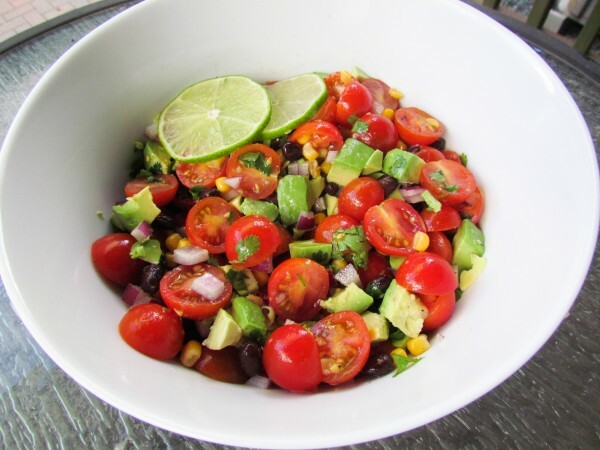 So the other night, I threw together tomatoes, red onions, avocados, black beans, corn and cilantro, then topped with with a super simple lime vinaigrette to make this Healthy Mexican Salad recipe. 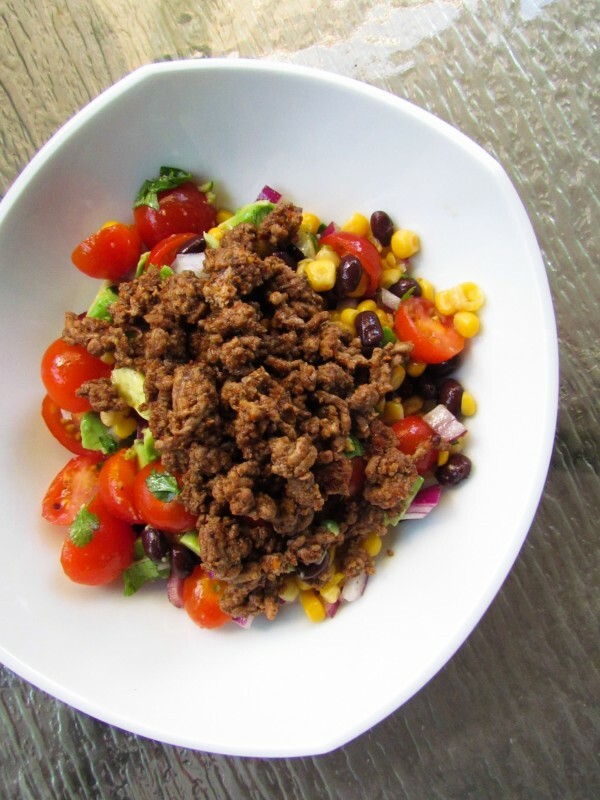 I’ve already made it twice, and each time I topped it with taco seasoned ground beef. Next time I plan on adding either shrimp or chicken – you can easily mix it up! Also, feel free to play around withe the proportions. 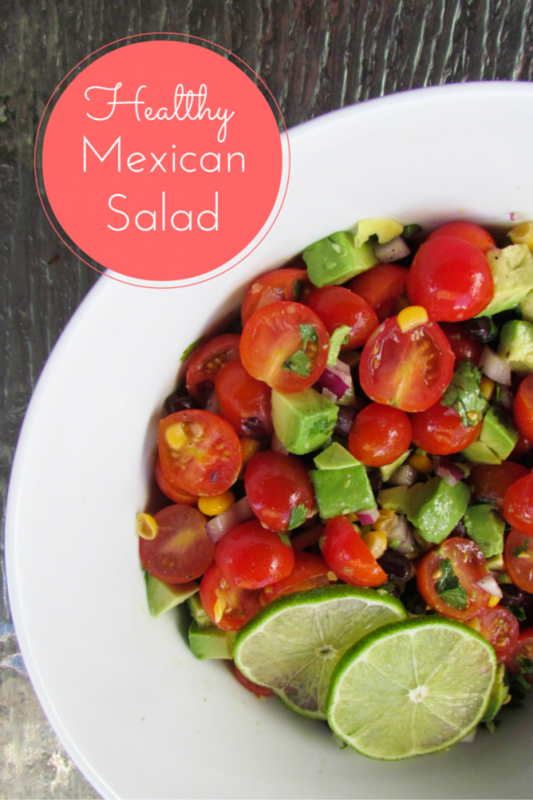 I like to throw in a bit of extra avocado and tomatoes because I just love them so much. Read on for the recipe and enjoy! 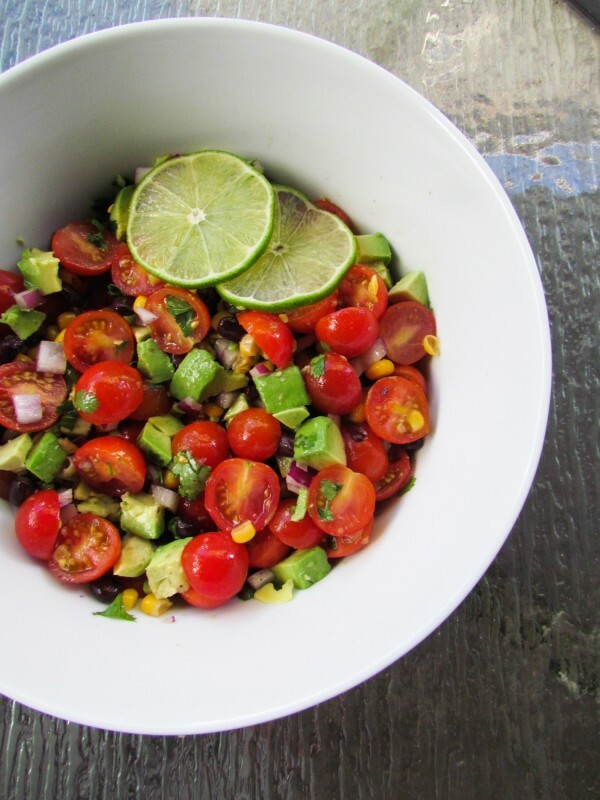 Combine tomatoes, red onion, corn, black beans and cilantro together. Combine lime juice and olive oil together; stir well and pour over salad mixture. Add salt and pepper to taste. Add avocado before serving (note: the lime juice should keep it from browning if you choose to enjoy as leftovers, but adding last will definitely prevent this). 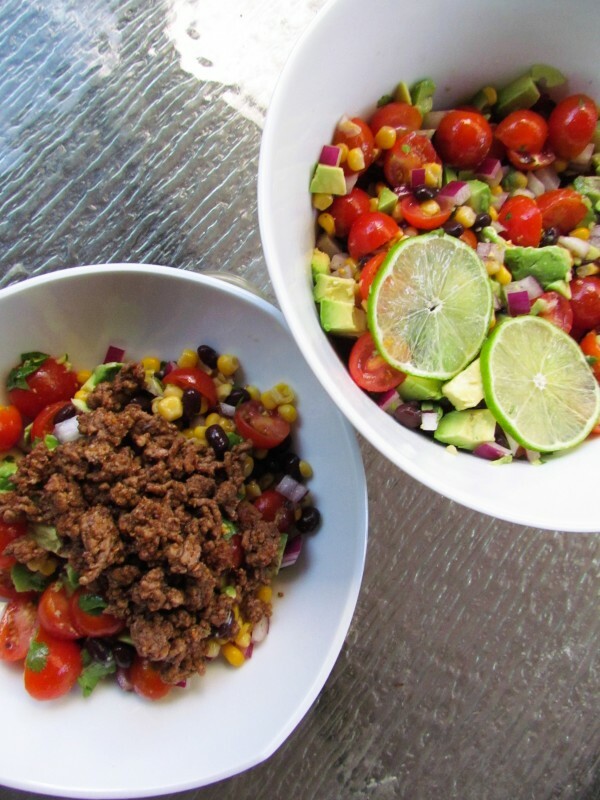 Enjoy on its own or top with your favorite seasoned protein, such as ground beef, shrimp or pulled chicken.